Leaving this message was one of my better decisions. THE SMH – A 63-year-old British tourist on a self confessed “adventure before dementia” has written of being rescued after two days lost in Queensland’s remote far north, after he wrote an SOS message in the sand. 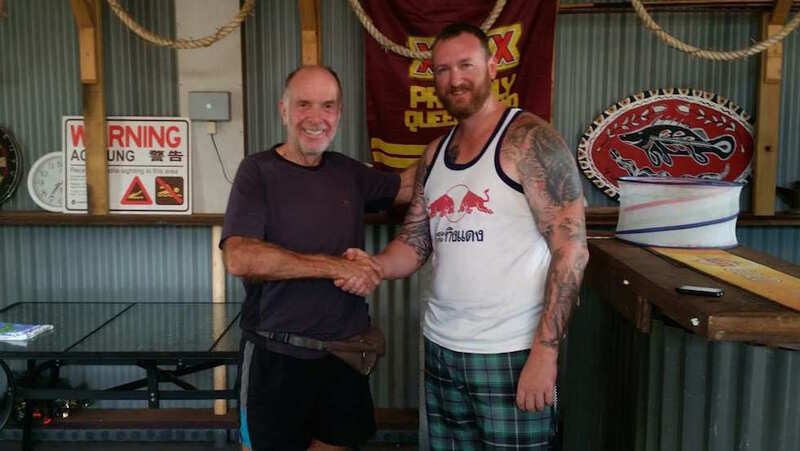 Geoff Keys was camping with two families in Cape York’s remote Jardine National Park in late July, when he set off for a two kilometre walk to go for a swim beneath a waterfall. Barefoot and wearing just shorts, a t-shirt and a hat, Mr Keys says on his blogmotopangaea.com he became lost when swimming along a creek in search of Eliot Falls late in the day on July 27.